It's now 33 days until the kickoff of Catamount football on September 2, 2017, in Aloha Stadium, Honolulu, Hawaii - home of the University of Hawaii Rainbow Warriors. Prior to Western Carolina: Was twice named first team Forsyth County News All-County after both his junior and senior seasons ... Recorded 78 tackles with 47 solo stops including three tackles for loss, each coming as a sack as a senior ... Tallied eight passes defended with five interceptions ... Was a Class AAAAAA Georgia All-State honorable mention ... As a junior, tallied 65 total hits with a sack, seven pass break-ups and two interceptions. It's now 34 days until the kickoff of Catamount football on September 2, 2017, in Aloha Stadium, Honolulu, Hawaii - home of the University of Hawaii Rainbow Warriors. 2016 (Freshman): Did not see game action; expected to take a redshirt. Prior to Western Carolina: Recorded 91 catches for 850 yards over his final two seasons as a prep including a career-best 65 receptions for 700 yards as a senior .... Seven of his nine career receiving TDs came in his final year ... Tallied the LaGrange HS position award for Best Wide Receiver as a senior ... High school coach was Dialleo Burks ... Also played baseball as a prep, collecting a .325 batting average as a switch hitter in his junior year with 21 stolen bases. Personal: Full name is Andrew Michael Askew ... Is the son of Ceola Askew and Amy Mains ... Has a younger sister, Ashlee Mains. It's now 35 days until the kickoff of Catamount football on September 2, 2017, in Aloha Stadium, Honolulu, Hawaii - home of the University of Hawaii Rainbow Warriors. 2016 (Junior): Started 10 of the 11 games in which he saw action, missing the start against Chattanooga ... Finished with a single-season, career-best 61 tackles including 43 solo stops and three for loss ... Twice posted double-digit tackle games with a career-high 12 at Mercer (Oct. 15) and 10 at Samford (Oct. 22) ... Credited with seven pass break-ups ... Named Southern Conference Defensive Player of the Week on Nov. 7 after returning a fumble 19 yards for a touchdown and intercepting a pass with a 65-yard return in the home win over VMI (Nov. 5), finishing with 103 all-purpose yards ... Also participated in track & field in the spring semester, earning SoCon Track Athlete of the Week on May 4 ... Returned one kickoff 35 yards at South Carolina (Nov. 19) ... Was the SoCon men's champion in the 100-meter dash, setting a WCU school-record in the preliminary rounds with a time of 10.33 which qualified him for the NCAA East Preliminary ... Tallied a pair of interceptions including one returned 60 yards for a touchdown in WCU's annual Spring Game. 2015 (Sophomore): Saw action in all 11 games, each as a defensive reserve and on special teams ... Credited with 20 tackles including 13 solo stops ... Twice recorded a career-best five tackles against Mars Hill (Sept. 5) and at Wofford (Oct. 17) ... Intercepted two passes, tallying his first career pick against Mars Hill and second against Wofford, also charting a pass break-up at SEC-foe, Tennessee (Sept. 19) ... On special teams, returned two kickoffs for a total of 35 yards including a long of 22 yards at Chattanooga (Oct. 31). 2014 (Freshman): Played in all 12 games on special teams and as a defensive substitution ... Made his collegiate debut in the season-opener at USF (Aug. 30) ... Finished with 17 tackles including 11 solo stops ... Credited with four pass break-ups ... Tallied his first career tackle at home against Brevard (Sept. 6) ... Posted a then career-high four tackles including three solo stops against Catawba (Sept. 13) ... Tallied his first pass break-up at Mercer (Oct. 18) ... Tallied one rush on offense, carrying the ball 16 yards on an end-around vs. The Citadel (Oct. 25) ... Also returned one kickoff 21 yards at Samford (Nov. 8) ... Playing for the Purple squad, credited with four tackles including one for loss and a pair of pass break-ups in WCU's annual Spring Game. Prior to Western Carolina: A four-sport athlete who played quarterback and in the defensive secondary as a safety on the football gridiron ... Rushed for 1,752 yards and 20 touchdowns on offense and recorded a team-high seven interceptions as a senior... Recorded a 419 yard rushing performance with four touchdowns in a win over Granville Central ... Named N.C. Preps 1-A All-State as a defensive back ... Earned "best camper" title at the Steve Wilkes Defensive Back Camp ... Also ran track as a prep, finishing second in the state at the 1-A level in the 400-meter dash ... High school coach was George Privott. Personal: Is the son of Winnie Webb and Thomas Crossen ... Has an older sister, Tanisha Crossen, and an older brother, Travis Williams. It's now 36 days until the kickoff of Catamount football on September 2, 2017, in Aloha Stadium, Honolulu, Hawaii - home of the University of Hawaii Rainbow Warriors. For the seventh game of the season, the Cats return home to face the Buccaneers of East Tennessee State University for their third home game of the season. Last year, Western and the Bucs revived a series that started in 1932 and abruptly ended in 2003 when the Buccaneers eliminated football. Adding to the revival and new found rivalry between the two teams, the Bucs upset the Cats last season at the Bristol Motor Speedway. The Series: This series stretches back to 1932, with the Cats holding a slim 23-22-1 lead. The last game played vs. ETSU: Sept. 17, 2016 - Catamount Football Drops 34-31 Decision to ETSU - BRISTOL, Tenn. - Junior tailback Detrez Newsome scored a career-best four touchdowns on Saturday afternoon, but it wasn't enough as Western Carolina dropped its 2016 Southern Conference football opener, 34-31, to East Tennessee State in front of an ETSU single-game record crowd of 13,863 at the Bristol Motor Speedway. Newsome tallied two TDs on the ground to accompany a pair of receiving scores in the loss. The Raeford, N.C., native moved into a tie for ninth-place in school history with his 22nd career rushing score, matching David Mayfield (22, 1984-86). Newsome finished with a combined 172 all-purpose yards including 32 yards rushing, 86 receiving yards on four catches, and 54 yards on kickoff returns. Head Coach: Carl Torbush was named head coach of the East Tennessee State University football program on June 21, 2013, and tasked with resurrecting a program that will kick off a new era of play in the fall of 2015. Torbush, whose career includes head coaching stops at North Carolina and Louisiana Tech, has built a strong reputation as an outstanding defensive strategist after having served as a defensive coordinator at six FBS programs, including Alabama, Mississippi, Mississippi State, Kansas, Texas A&M and UNC. The most notable coaching stop on Torbush's resume was at North Carolina, where he served as defensive coordinator from 1988-97 before being promoted to head coach for three seasons (1998-2000). In preseason honors, year, red-shirt junior linebacker Dylan Weigel earned second team honors, while senior offensive lineman Alex Rios and junior kicker JJ Jerman joined Weigel on the second team list. ETSU was picked to finish in 8th place by both the coaches and media polls. The Bucs were picked to finish ninth last season, but finished in seventh place. They pulled a couple of big upsets, beating Western Carolina and finishing the season with a major upset over playoff-bound Samford. It's now 37 days until the kickoff of Catamount football on September 2, 2017, in Aloha Stadium, Honolulu, Hawaii - home of the University of Hawaii Rainbow Warriors. Prior to Western Carolina: Was highly recruited, originally committed and signed with Army West Point ... Was a running back and outside linebacker as a prep ... Named Honorable Mention All-State in Georgia’s Class AAAAAA as a senior ... 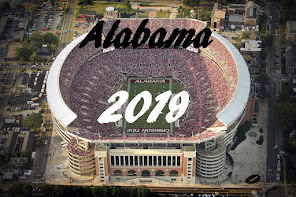 Rushed for over 1,000 yards with eight touchdowns as a senior ... Also finished with 70 tackles including 43 solo stops as a senior with five tackles for loss including three sacks ... Was a two-star recruit by both Rivals.com and 247Sports. It's now 38 days until the kickoff of Catamount football on September 2, 2017, in Aloha Stadium, Honolulu, Hawaii - home of the University of Hawaii Rainbow Warriors. 2016 (Redshirt Sophomore): Saw game action in two games, both coming early in the season … Recorded three tackles on the season … Tallied with two tackles in the season-opener at East Carolina (Sept. 3) with a solo stop in the home win over Gardner-Webb (Sept. 10) … Credited with a tackle in WCU’s annual Spring Game. 2015 (Redshirt Freshman): Was a part of the travel team numerous times, seeing action in one game on the year ... Made his collegiate debut at Tennessee (Sept. 19), where he was credited with a tackle assist. Prior to Western Carolina: Was a three-year defensive starter for Randleman HS and a two-time All-Pac-6 Conference player ... Recorded three interceptions, had eight pass breakups, and made 35 total tackles as a senior ... Also scored three returns for touchdowns ... Averaged 23 yards on punt returns and 39 yards on kickoff returns, scoring on three returns for TDs .... Also contributed on the offensive side as a wide receiver and kick returner ... During his senior season, tallied 212 rushing yards on 20 carries with a touchdown, adding 161 receiving yards on 10 receptions with three scores. It's now 40 days until the kickoff of Catamount football on September 2, 2017, in Aloha Stadium, Honolulu, Hawaii - home of the University of Hawaii Rainbow Warriors. Prior to Western Carolina: Named first team placekicker on the Georgia 3-AAAAAAA All-Region team ... According to ProKicker.com rankings, was the No. 3 kicker overall and No. 9 kickoff specialist in the country ... Earned a four and a half star rating from Chris Sailer kicking ... Rated as the nation's top kicker by Ray Guy ProKicker.com Camps ... As a junior, was an honorable mention on the Georgia Class AAAAAA All-State team as a kicker ... High school head coach was Shane Queen. It's now 41 days until the kickoff of Catamount football on September 2, 2017, in Aloha Stadium, Honolulu, Hawaii - home of the University of Hawaii Rainbow Warriors. 2016 (Redshirt Freshman): Did not see game action ... Hauled in four passes for 96 yards including a scrimmage-best 47 yard catch-and-run to set-up a score in WCU's annual Spring Game. Prior to Western Carolina: Accepted a preferred walk-on position on the WCU football team ... Selected to the All-State and US All-American Bowl as a senior ... Gained 1,445 all-purpose yards and 12 touchdowns as a wide receiver and punt returner ... His high school coach was Jerry Cash. It's now 42 days until the kickoff of Catamount football on September 2, 2017, in Aloha Stadium, Honolulu, Hawaii - home of the University of Hawaii Rainbow Warriors. 2016 (Redshirt Junior): Played in six games, making his debut in the season-opener at East Carolina (Sept. 3) ... Made his first career reception over the middle against ETSU (Sept. 17) in a game played at the Bristol Motor Speedway, gaining seven yards on the catch. 2015 (Redshirt Sophomore): Did not see game action, participating on WCU’s practice squad ... Joined the WCU football team as a walk-on. Prior to Western Carolina: Played football as a corner back and wide receiver at Topsail High as a prep ... Earned all-conference plaudits at wide receiver as a senior in 2012 as the team claimed its third-straight East Central AA playoff berth ... Served as a student assistant with the WCU offense while recovering from an injury. It's now 43 days until the kickoff of Catamount football on September 2, 2017, in Aloha Stadium, Honolulu, Hawaii - home of the University of Hawaii Rainbow Warriors. 2016 (Junior): Played in all 11 of the team’s games with nine starts at linebacker … Recorded 67 tackles including 37 solo stops and 1.5 tackles for loss … Intercepted a pass against Chattanooga (Oct. 28), his first career pick … Recovered a fumble against ETSU (Sept. 17) in a game played at the Bristol Motor Speedway … Posted three pass break-ups … Credited with two tackles in WCU’s annual Spring Game. 2015 (Sophomore): Saw action in all 11 games on the season, each coming as a defensive reserve and on special teams ... Finished with 12 tackles including three solo stops ... Recorded a career-best five tackles in the home win over Samford (Oct. 24). 2014 (Freshman): Played in 11 of the team’s 12 games on the season as a defensive reserve … Made his collegiate debut and recorded his first career tackle in the season-opener at USF (Aug. 30) … Recorded five tackles with a then career-high two stops in the road win at Mercer (Oct. 18) … Playing for the Gold squad, recorded five tackles in WCU’s annual Spring Game. Prior to Western Carolina: Played as a running back and safety at White Oak HS ... Recorded 27 total tackles including 21 solo stops in the fall of 2013 ... Credited with five pass breakups and one interception ... Rushed for 471 yards with 41 yards receiving during his final season ... Finished with seven total touchdowns as a senior including five rushing scores ... Also plays basketball as a prep ... High school football coach was Chad Ashley. Personal: Is the son of Damon White. Throughout this preseason, Purple & Gold will preview all of Western's 2017 football opponents. For the sixth game of the season, we'll look at the Wofford Terriers. The Cats remain on the road this week for a trip to Spartanburg, SC for the fourth road game of the season. In a series that started in 1952, The Cats & Terriers have played a total of 39 times, and Western has won 2 of the last 3 games against the Terriers. The Series: The Cats are 14-25 overall against the Terriers. having won the last two of the last three games played. The last game played vs. Wofford: Oct. 8, 2016 - Catamount Football Tripped by the Wofford Terriers, 31-19 - Cullowhee, N.C. - Redshirt junior receiver Terryon Robinson tied a school-record with 15 receptions including a pair of touchdown grabs on Saturday night, but it was not enough as Western Carolina dropped a 31-19 decision to the Wofford Terriers in Southern Conference action at E.J. Whitmire Stadium / Bob Waters Field. Logan Howard added a pair of field goals as the Catamounts suffered their third-straight defeat of the season. WCU dropped to 1-4 overall, 0-3 in the SoCon while Wofford improved to 4-2 overall, 2-1 in league play. Head Coach: Mike Ayers - Now entering his 30th season, the leader of the Wofford football program is head coach Mike Ayers. For three decades, Ayers has guided the Terriers from the NAIA and NCAA Division II ranks to Division I and the Southern Conference. 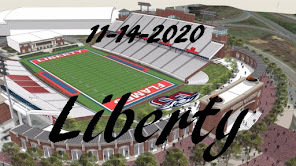 Along the way, the team made appearances in the Division II Playoffs in 1990 and 1991, the Division I FCS Playoffs in 2003, 2007, 2008, 2010, 2011, 2012 and 2016, and claimed Southern Conference titles in 2003, 2007, 2010, and 2012. Top returnees: Offensive linemen Ross Demmel, Jared Jacon-Duffy and Roo Daniels, wide receiver R.J. Taylor, and quarterback Brandon Goodson. On defense, the eight returners are defensive linemen Miles Brown, Mikel Horton and Tyler Vaughn, safety Malik Rivera, cornerbacks Devin Watson and George Gbesee, plus linebackers Terrance Morris and Datavious Wilson. In addition, long snapper Ross Hammond returns. In preseason honors, the Terriers had eight players recognized by the coaches, including five on the first team. 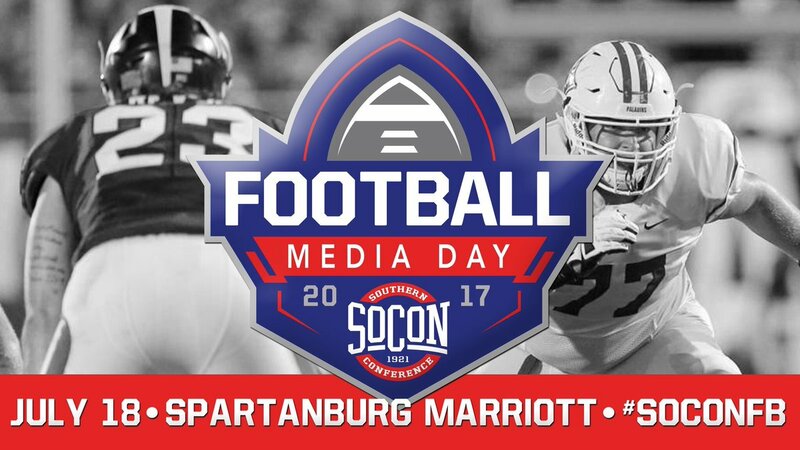 The SoCon's nine head coaches selected Wofford to win the league championship as did the Sports Media Association. Leading the Terriers on the first team were offensive lineman Roo Daniels, defensive linemen Tyler Vaughn and Miles Brown, linebacker Datavious Wilson and cornerback Devin Watson. Second team honorees include offensive lineman Ross Demmel, cornerback George Gbesee and tight end Chandler Gouger. It's now 44 days until the kickoff of Catamount football on September 2, 2017, in Aloha Stadium, Honolulu, Hawaii - home of the University of Hawaii Rainbow Warriors. 2016 (Freshman): Played in 10 of the team’s 11 games with six starts, five coming in the final six games of the season … Recorded 14 receptions for 123 yards … Made his first collegiate reception against ETSU (Sept. 17) in a game played at the Bristol Motor Speedway … Caught a career-best six passes for a career-high 44 yards at Mercer (Oct. 15) … Scored his first two career points on a two-point conversion against Chattanooga (Oct. 28) … Added two solo tackles … Named to the Southern Conference All-Freshman team on offense … Pulled down a team-best six catches for 60 yards and a five-yard touchdown reception in WCU’s annual Spring Game. Prior to Western Carolina: Two-time first team all-region selection ... Received second team Class AAAA All-State honors from the Georgia Sports Writers Association, as well as first team All-Metro ... Had 30 receptions for 575 yards and five TDs as a senior ... Was a five-time player of the week selection including three as a senior ... As a junior, caught 15 passes for 209 yards with an average of 13.9 yards per reception with five touchdowns ... Also had 21 tackles with a sack as a defensive end ... 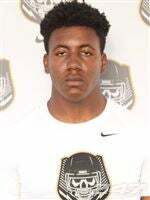 Listed as a two-star athlete by both Rivals.com and 247Sports.com ... High school coach was Clint Satterfield. Personal: Full name is Aubry William Payne ... Is the son of Scott Payne and Jennifer Prater ... Has four siblings; Ashtin Prater, Triston Payne, Robbie Prater and Mitchell Prater. It's now 45 days until the kickoff of Catamount football on September 2, 2017, in Aloha Stadium, Honolulu, Hawaii - home of the University of Hawaii Rainbow Warriors. 2016 (Redshirt Sophomore): Played in 10 of the team’s 11 games on offense and mostly on special teams … Made his WCU debut in the home win over Gardner-Webb (Sept. 10) … Did not record any official statistics during the year … Rushed nine times for 38 yards in WCU’s annual Spring Game. 2015 (Sophomore): Transferred to Western Carolina from Guilford College ... Sat out the season due to NCAA transfer rules ... Rushed 14 times for a team-best 86 yards and a touchdown during WCU's annual Spring Game. Prior to Western Carolina: Lettered two seasons at Lee County High for head coach Burton Cates ... Was an All-Tri 9 Conference selection ... Earned the team's Most Improved Player award ... In 2012, rushed for over 1,200 yards and 23 touchdowns in helping the Yellow Jackets to their best record (8-4) in 30 yeards ... Was an academic all-conference honoree ... Named Most Valuable Sprinter on Lee County's indoor track and field teams in 2012 and 2013 ... Also participated in Lee County's DECA and FCA clubs. Personal: Is the son of James and Kasandra Foushee ... His sister, Jasmine, is a member of Campbell University's track and field team. It's now 46 days until the kickoff of Catamount football on September 2, 2017, in Aloha Stadium, Honolulu, Hawaii - home of the University of Hawaii Rainbow Warriors. 2016 (Freshman): Saw action in five games on the season, each coming in the final six games of the season … Saw his most extensive action on special teams … Did not record any season statistics. Prior to Western Carolina: Was a three-year varsity letter winner that played fullback and linebacker at Avery County High ... Two-time 1A/2A Western Highlands All-Conference both as a junior and senior ... Rushed for over 1,000 yards and 12 touchdowns ... Added 451 career receiving yards and five TDs ... Recorded 340 career tackles including 199 solo stops ... Recorded a pair of interceptions, forced three fumbles and recovered four during his prep career ... Also played basketball as a prep. Personal: Full name is Jack Austin Phillips ... Is the son of Alison and John Phillips.